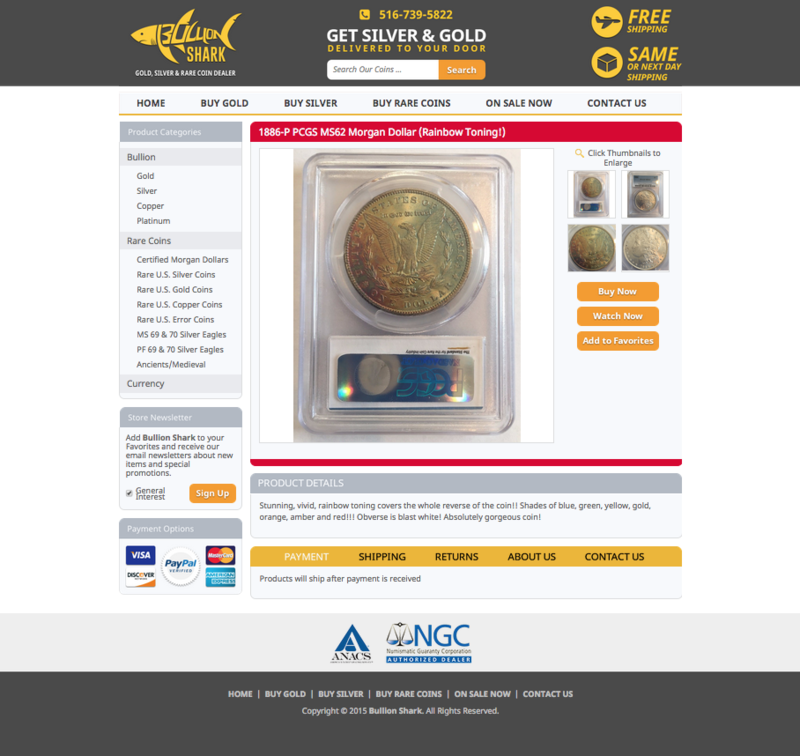 eBay is a wonderful place for the coin collecting community. Don’t believe me? We have a Pinterest board filled with designs we’ve created for coin sellers. 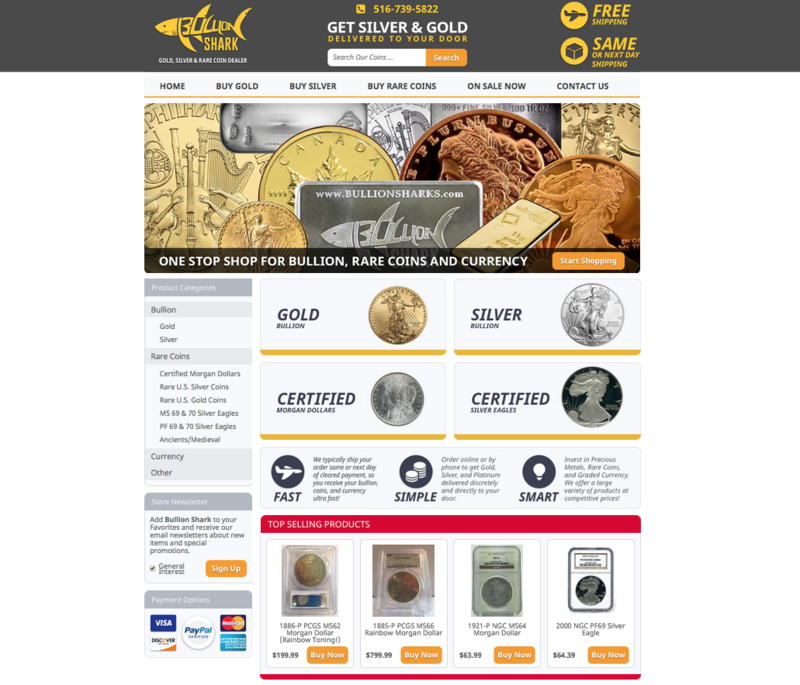 Today at OCDesignsonline we’ve got a write up on the design we created for Bullion Sharks, a popular coin seller that needed a new eBay storefront design to send their business into hyperdrive. Custom images were used for the welcome image, “Why shop with us?” value sharing banners, category images, and more. Everything for Bullion Exchange was created for a reason. The “Why shop with us?” banner in particular blends in well with the design because it shows bulleted and then expanded upon points that are easy to understand at a glance or can be more delved into if the shopper stops and stares. Our favorite thing about new store designs? Creating a listing template to match. These two design features work together to create a high selling store. Having a store design that matches the description of a product helps build professionalism and brand continuity because when potential customers find products through search, they see a great brand story from the second the look at our client’s products. It encourages more sales because it brings more clicks to our clients storefront, along with so many other small reasons why these two pairings work. Beneath that we have a top selling products area, which is different than the usual featured products area we typically use, because it shows value as well. Rather than sharing anything in this section, calling it “top selling products” tells potential customers that they are missing out if they don’t check these coins out. They are selling fast! Every little bit of a design needs to be purposeful and that is what we provide at OCDesignsonline. Request a free quote to use our expertise to your advantage.